The Media blamed Facebook for today's woes but really the damage was done in January when Large Cap indices sold off and today was the turn of profit takers to take a shot at those high flying Tech Indices. 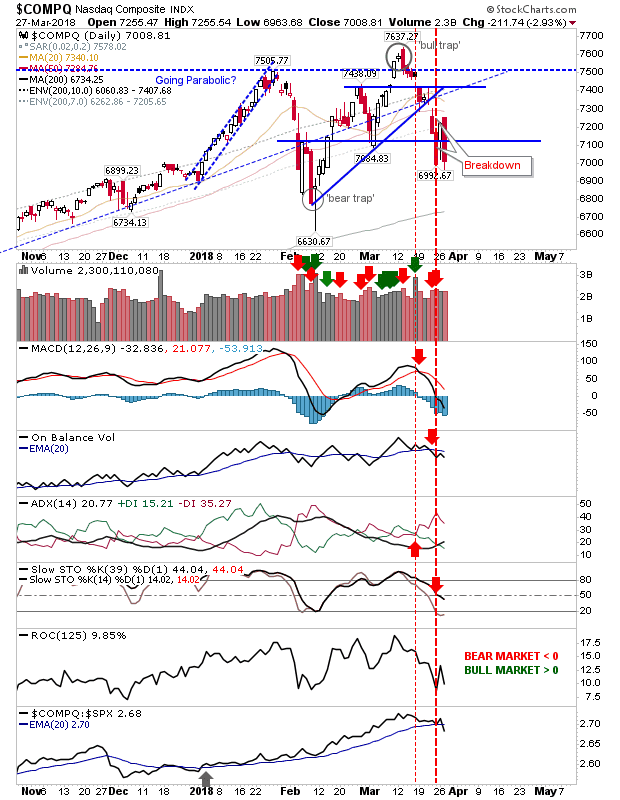 Markets still are a long way from the oversold conditions of February 2016, November 2011 and October 2008; tracked in the tables at the end of this post. I'll let you know when you get there and you can back up the truck for those long-term investment opportunities when it happens. However, my #sectorbreadth analysis is showing near-term buying opportunities. Of the indices, yesterday's little rally looks to have caught out some over-eager buyers, some of whom may have bailed already. 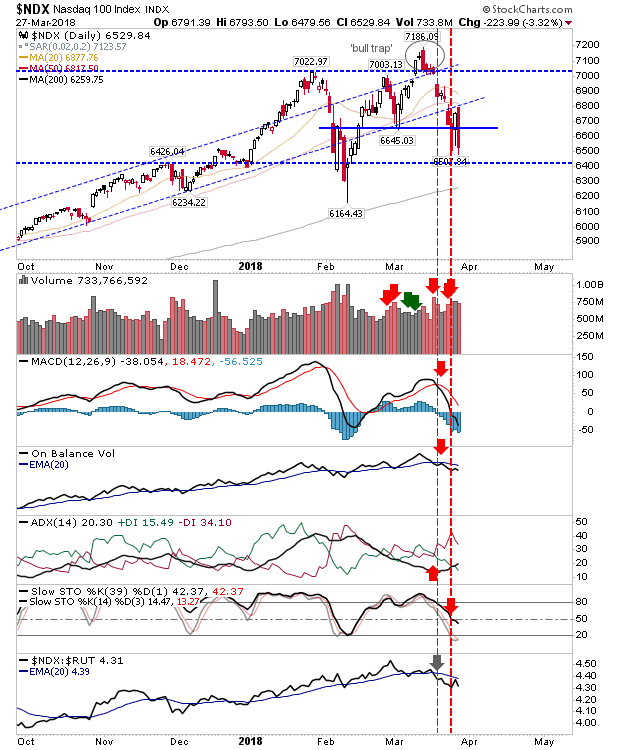 For the Nasdaq and Nasdaq 100 there was a big hit with a wipeout of yesterday's gains but volume didn't rank as distribution despite the extent of losses. Technicals, did however, turn net bearish. 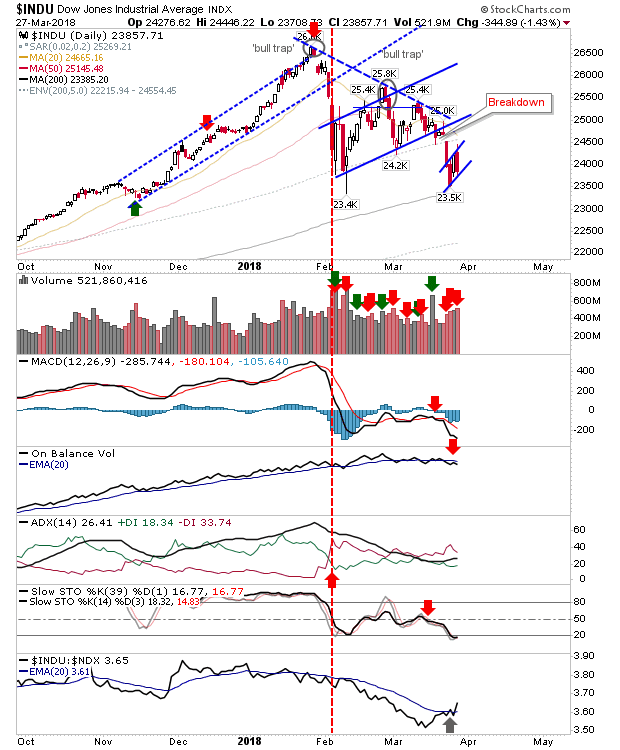 The Nasdaq 100 took the biggest hit of the two Tech Indices but it didn't finish at a support level; tomorrow could see another swing lower to the 200-day MA as occurred in Large Caps earlier in the week. 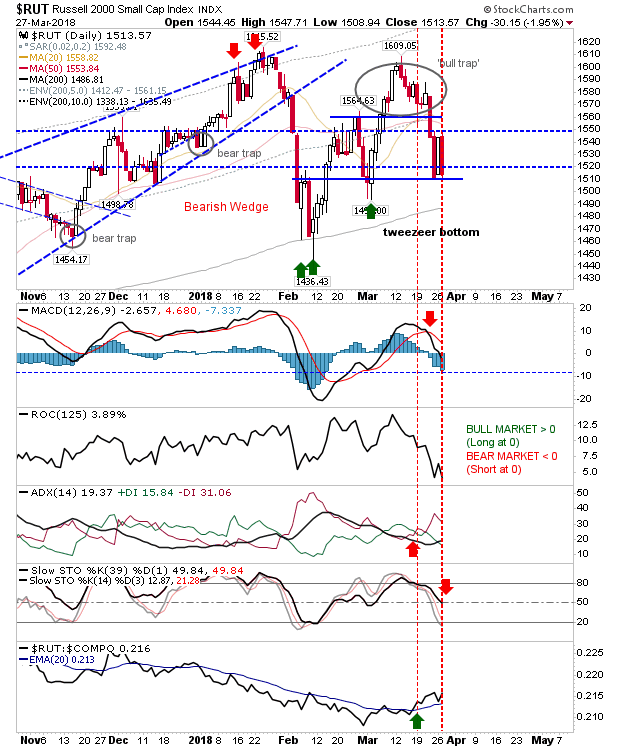 Speaking of Large Caps, support from the 200-day MAs is fading fast and technicals are not suggesting a quick bounce. 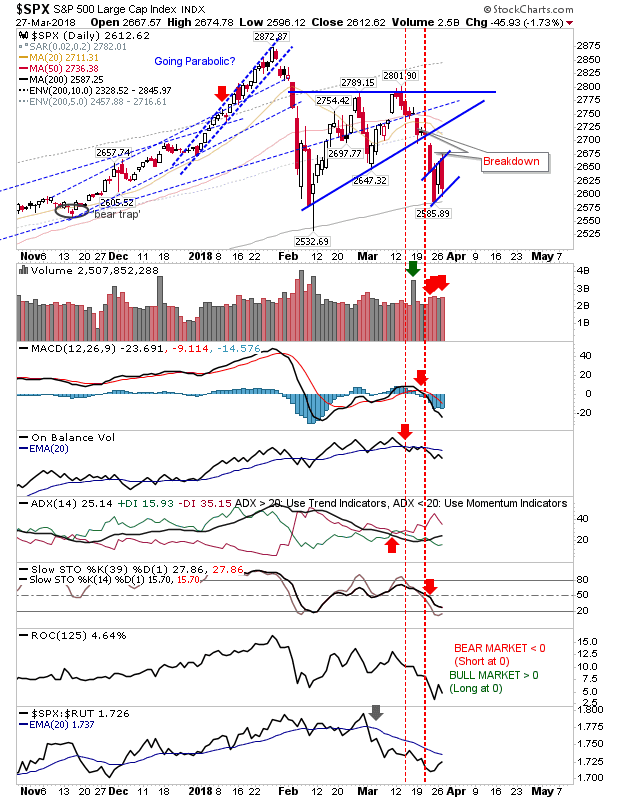 The Dow Jones index looks to be mapping a bearish flag and unlike Tech Indices there was confirmed bearish distribution. The S&P is also mapping a bearish 'flag' on higher volume distribution. Unlike the Dow Jones, Stochastics are not oversold, suggesting this index is likely to cut below its 200-day first. Of the indices, the Russell 2000 had a relatively low key day. 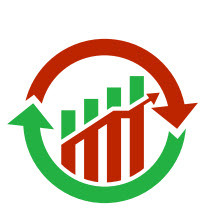 The 2% loss actually registered as a relative gain against its peers (Tech and Large Caps). If there is going to be a recovery then the Russell 2000 could be the index to lead the broader indices out. For tomorrow, if sellers maintain control at the open then look for Large Caps to undercut their 200-day MAs (and likely deliver an acceleration in the selling). If buyers can bring things back, then the Russell 2000 will be the index to play for a bounce; also look to my #sectorbreadth analysis for sector SPDR plays.